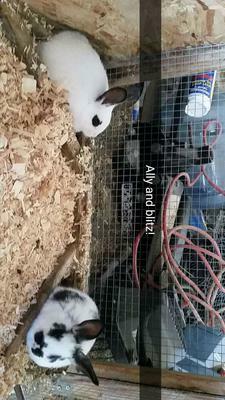 Does anyone know these rabbits breeds? 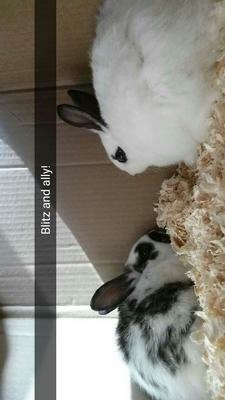 Can anyone tell us what breeds these rabbits are please? 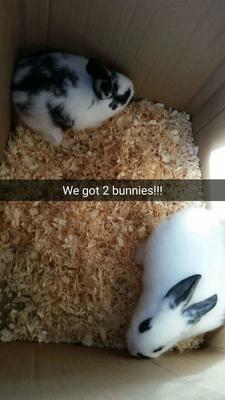 We got them at a d&b and they said they were a mix breed, but they didn't know what they were.